Friend Tag & WINNER WINNER WINNERS! Jinger Adams Post~ AND Blog Hop Winners! Black Friday Surprise Blog Hop! MCT November Release Blog Hop day 2! MCT November Release 2 Day Blog Hop! GOOD MORNING my creative friends & welcome to day TWO of our sneaky peeks! Well, I am SO EXCITED about today's sneak! It is a BRAND NEW die called "Lower Case Fun"! I've been "dying" to have an alpha die set & I finally did it! ;) The size of the letters are PERFECT for cards, 3-D projects, scrapbooking etc..... You can use them on just about everything & they will look SUPER CUTE! This first card I wasn't able to show it in my video because I had already mailed it off to a SUPER SWEET friend! So I am just happy that I remembered to take pictures of it before it left my house! lol..... This card is pretty "self explanatory", I just used the paper from the 6x6 "Snap Life" by Simple Stories & cut out "thank you" w/my NEW die! 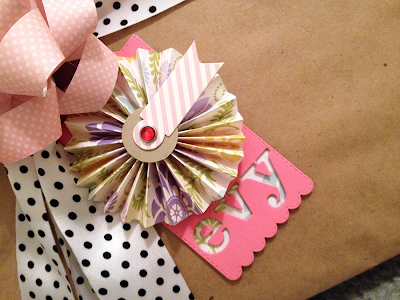 The CUTE butterfly is from Liz's Paper Loft Boutique (your one stop shop for CUTE embellies). I just LOVE how this next card came out! You can see in my video below how I put this card together~! I am proud of how my flowers came out! AND I am loving how my CUTE butterfly looks all stamped on w/the glass gitter! Here is a close up of how the letter dies look! They look so pretty w/the glass glitter! 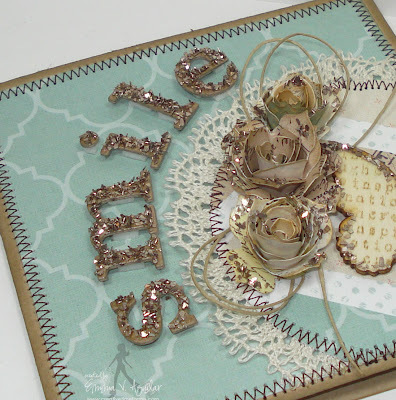 ~ My Mind's Eye paper pack "All is Bright"
Here is my video showing how I made this card! Check out my facebook page HERE for MORE projects from the rest of my design team using this die set throughout the day! With all of our Sneak Peek weeks, you know I LOVE to do some FUN giveaways! Emma will randomly pick & announce all winners on Thursday, November 15th during the release happening @ 8:00am PST in my video! GOOD LUCK! Don't forget to visit my design team's blogs & leave them some much DESERVED love! ;) Also, I will see you back here tomorrow for another day of FUN sneaky peeks! This release will be available for purchase this Thursday, at 8:00am PST! Wow Miss Emma thanks a million for the this new lower case dies awesome and your card is beautiful!!!!! Loving this new release! Emma, you are a star! Beautiful projects,Emma! 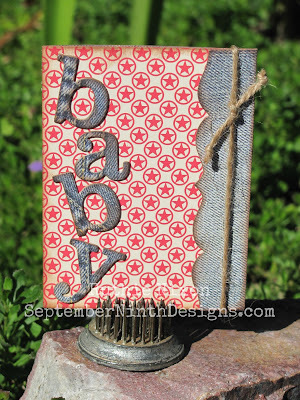 I love how you incorporate your previous sets of dies and stamps with the new release, too. P.S. My Craft Channel has an awesome deal on Melissa Frances glass glitter today (11/13/12). Emma, You have done it again! Simply Wonderful! 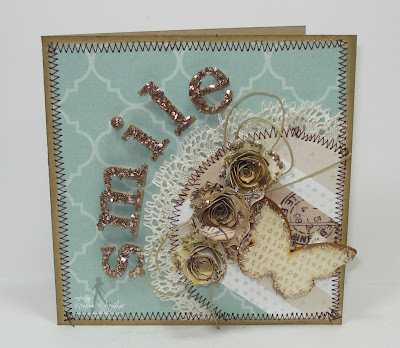 Very pretty cards, I love the stitching around the first and that you used black as the background, makes everything else pop!! Love the glitter on the second card!! Can't wait to see what's next!! the ladies did a great job! Totally love both cards for different reasons. The thank you card gets my attention for color pop behind the negative space of the new letter die. I also completely love the rolled flower look. So beautiful. Emma, super cute cards. Both card have a look very elegant. Love the font with glitters and the colorful font. Very pretty. thanks for share and happy day! Love this die set will have to definitely get this one. Such great projects as always! Morning Emma, I've been having so much fun looking at all the cute and elegant cards. It's fun seeing all the possiblities! I LOVE LOVE LOVE LOVE this!!! So excited for these letters...your cards are AWESOME!!! WOW another FAB day of sneaks and your DT is ROCKING it as always!!! TFS and have a GREAT Tuesday!!! You know these are my "most favorite" letters!!! Your card is gorgeous, Emma! I just ordered my first jars of glass glitter, thanks to you and Liz!!! Great cards you sure up with some really different designs and techniques to put them together gosh girl you are so very talented and of course inventive thanks goodness for all of us. Your new fun lower case die set is really cool. Great inspiration from the design team as always! Whoa! Emma these little letters are to "die" for. You and the DT came up with wonderful ideas for them. Stopping in to peek at the fonts. I so want the lower case dies and those script/type stamps. So versatile. oh wow!! I love these projects!!! can't wait to get these dies!! thanks.....now off to hop! All great projects again!! I just love the "lower case fun" die set, can't wait to get my hands on it. 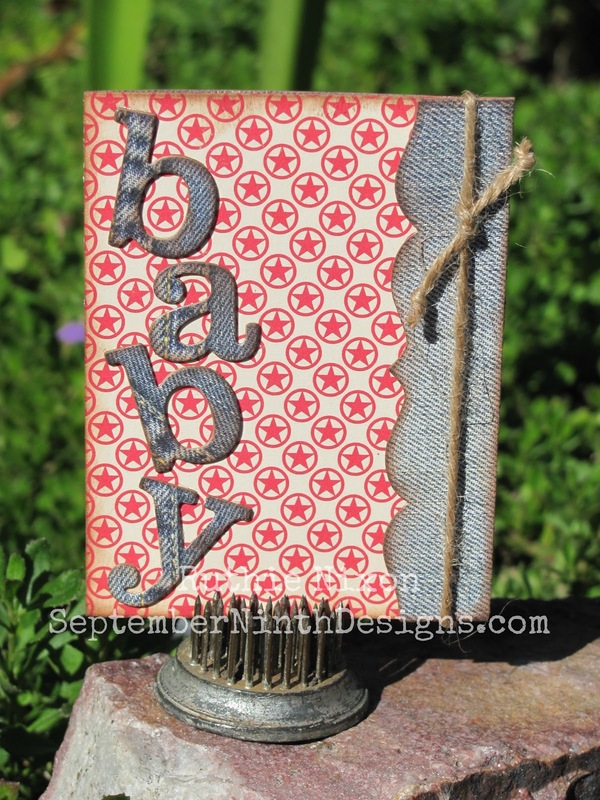 Wow...your first card is super cute..love those stripey letters! And the second one is beautiful!! I've never seen glass glitter before..I need to check it out! Can't wait to see what else you have in store for us!! Love the lower case alphas, Emma! Your chevron letters are TOO cool. 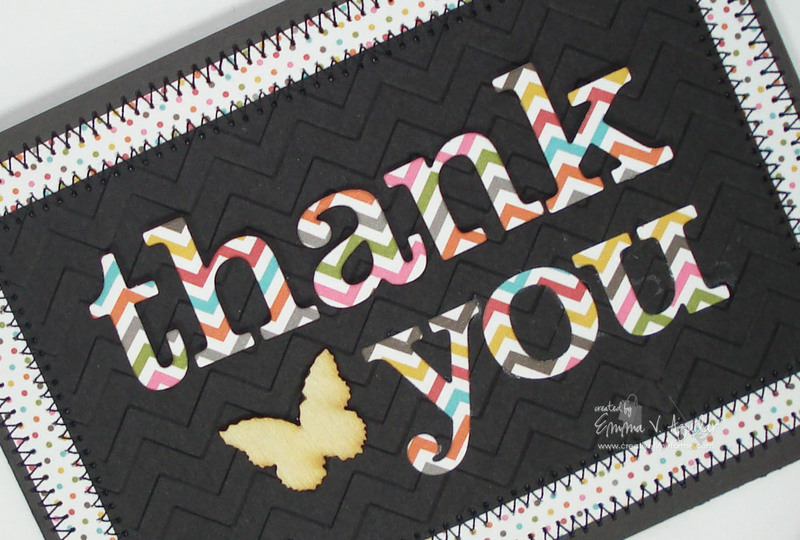 Thanks for sharing sneak peeks of your new products and projects! Emma ~ Oh MY WORD!! Okay that Thank You card is just FABULOUS!! SERIOUSLY The paper you used against the black ~ just pops!! Of ourse I LOVE the sewing ~ PERFECT touch! The Smile card ~ SHUT THE FRONT DOOR!! It is soooo ELEGANT !!! Such BEATUIFUL colors, textures, papers and embellies!! 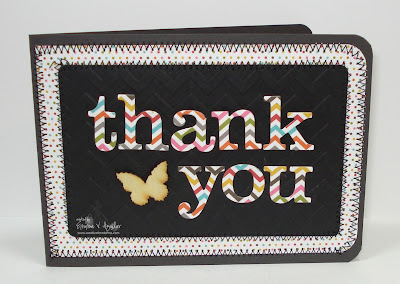 Of course I ADORE all the stamp on the butterfly and the dies you used! SIMPLY GORGEOUS!! WOW!! Well the DT's did yet another AMAZING job today! I know I keep saying this but Thank You for such an AMAZING release!! I ADORE all your products but this one ~ WOW!!! Great projects. Love the dies. Wont have worry about having enough vowels to spell any word you want. Great idea. such pretty projects. Great dies can't wait to see the whole release and what we can purchase! such great projects by all. tfs. Emma, your SMILE card is awesome! These lower case dies are going to be a must-have! Both of your cards are gorgeous! Wow, the glass glitter on the letters is beautiful!! The DT did an outstanding job as always! Fabulous! YES, you must have read my mind! I have been needing the alphas die's! So very excited for this release. MCT just keeps getting better and better! Beautiful projects, can not wait to see more! These letters are wonderful...I can't wait to get my hands on this new release! 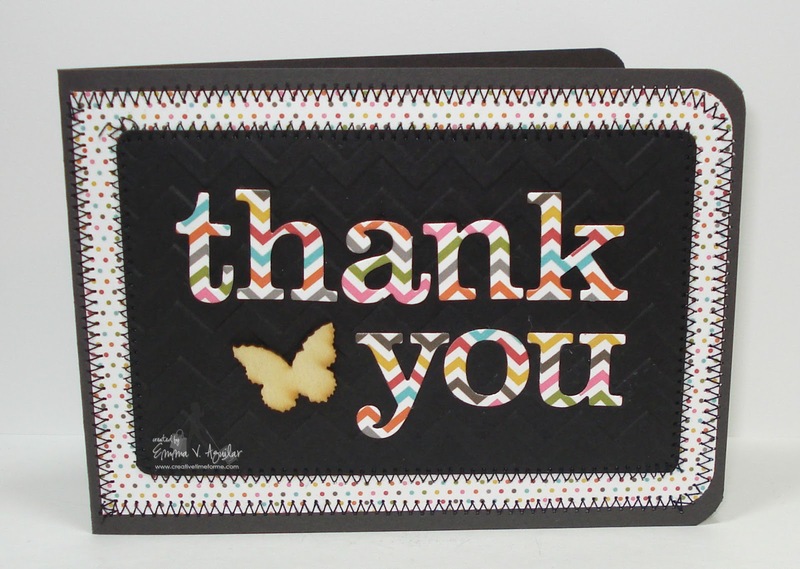 Your Thank You and Smile cards are great as are all of the beautiful projects made by the team. Wow! Holy Moly lady!!! I love them both so much! I extra love the second one. EEK!!!!!!!!!!!!!!!!!!!!!!!! PRETTY!!!! an alphabet die set!! genius!!! can't wait to see the rest of the release! Beautiful and GENIUS those alphabets!! cant wait for thursday Miss Emma! Great projects and I know this is going to be a great release for you. It provides so many options for those crafters who are not electronic! Awesome. Very cute alphabet and a great size. Beautiful cards; especially the smile one. I really like both cards a lot. They are both so different from each other, but wonderful. Can't wait to see the entire reveal! You and the design team have done a fabulous job! I want one of EVERYTHING!!! Beautiful letter! Everyone did such an amazing job! I can tell this is going to be an awesome release! I'm SO excited about alphabet dies. I can NOT wait. I love both cards, even though they're like polar opposites! I love the classic font you chose for this new die set, too. Congratulations, on this latest release! 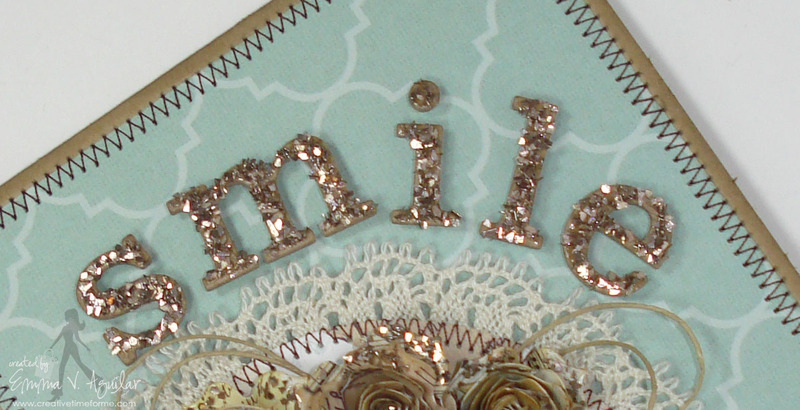 I LOVE the SMILE card- the colors, flower - just everything about it! The glitter really does make it even more beautiful! Emma, you do amazing work!! This is my fav' stamp die from your newest releases and my fav' card (the smile one)!! I have pinned it too!! You are so talented and have such awesome creativity and innovation! Congratulations! Well done! !